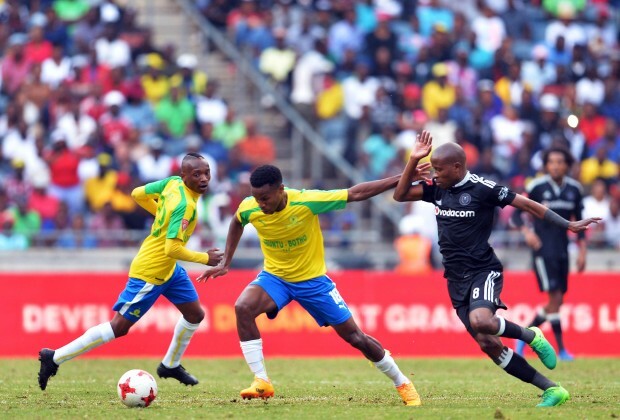 On this day in 2017, Mamelodi Sundowns beat Orlando Pirates 6-0 in what was the Sea Robber’s heaviest defeat in their illustrious history. But did you see how the Tshwane giants remembered the game on social media? On the day, the likes of Themba Zwane, Percy Tau and Thapelo Morena ran riot as coach Pitso Mosimane’s men held nothing back at the Loftus Versveld Stadium. While the six-goal drubbing had the Masandawana faithful elated at the stadium, fans who watched the game in the comfort of their own homes were not so fortunate as it were. What was your favourite memory of the tie? @Downs=Win bt u failed 2 abuse us @Loftus in our last meeting mos. Wht exactly r u talking abt umthetho wakho?